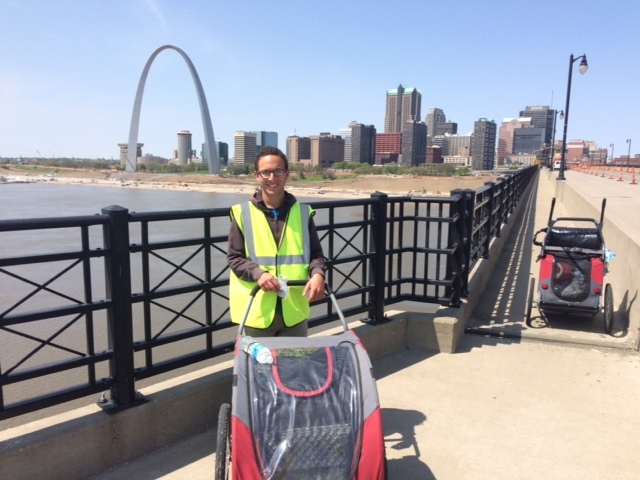 What motivates someone to walk across the country for over 22 weeks straight? Dedication and a cause worth championing. Scott Star set off by foot from Cape Henlopen State Park in Lewes, Delaware on February 27. Five-and-a-half months and two pairs of shoes later, he’s scheduled to arrive at the Santa Monica Pier in California around August 18. Even more remarkable, he’s raised almost $8,000 for the Crohn’s & Colitis Foundation of America (CCFA) along the way. Before Scott started his journey, he set up a personal fundraising page for CCFA through Classy. 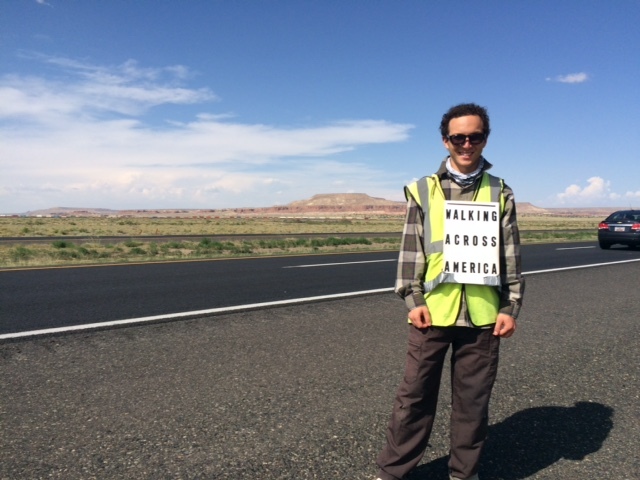 National attention to his walk across America built him a social following, raised significant awareness for Crohn’s and Colitis disease, and inspired people to donate to his fundraising page for CCFA. Scott was first diagnosed with Crohn’s disease when he was 15-years-old. He experienced months of grueling symptoms, but finally received medication that significantly reduces the number of flare-ups. Scott knows he’s lucky that his symptoms aren’t as acute as other Crohn’s and Colitis sufferers, so he was compelled to give back to a cause close to his heart. 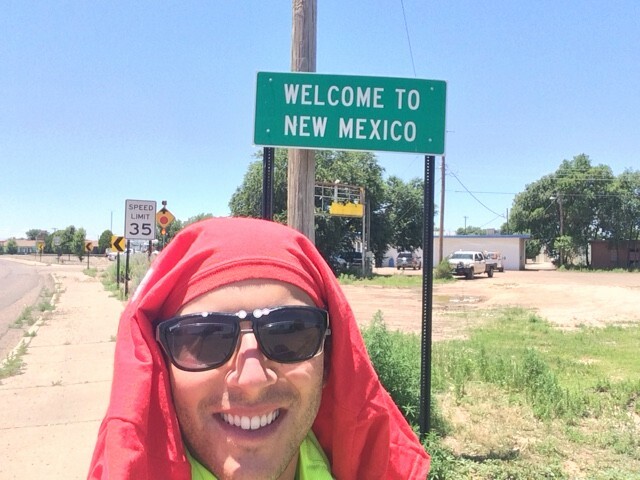 Scott first got the idea to walk across America after reading an article about people biking cross-country. This piqued his interest and with a few Google searches, he found that people had actually walked across America. He delved deeper into why they did it and the impressions it made on their lives. He told himself he would do the walk in his lifetime. Then, a lightbulb went off. The trek would be a perfect opportunity to raise awareness for a cause close to his heart. He decided that he would fundraise for CCFA on his journey. This wasn’t the first time Scott raised money for CCFA. In 2013, Scott ran a half marathon on behalf of the organization. This time, though, he’s taken his dedication up a notch with this nearly six month, 2,800 mile walk. Scott didn’t just set up a fundraising page and leave it to chance to gather donations. To be successful, Scott needed to take a multi-pronged approach. Along with being active on his online peer-to-peer fundraising page he makes the most of social media and word of mouth. Scott’s first approach for fundraising was creating a peer-to-peer fundraising page online. Through CCFA’s peer-to-peer fundraising option, which is powered by Classy, Scott is able to display his goal, the amount of money he’s raised so far, and the number of donations received. Potential donors can read a brief summary of his personal story and why he’s compelled to raise money for CCFA. When a person donates to his page, Scott personally thanks them by commenting on their donation. Donor appreciation is critical to the fundraising process and strengthens the sense of community around a cause. Walking across America is obviously a pretty incredible feat. It’s no surprise that Scott’s trek has given him some national attention and a large social following. On Facebook, Scott regularly posts photos, videos, and other updates about his whereabouts and experiences. By keeping supporters engaged through social media, he is able to get the word out about his cause, raise awareness about Crohn’s and Colitis, and motivate others to share his story. Scott wears bright yellow safety vest, a sign around his neck that reads “Walking Across America” and pushes a cart of belongings. You could say that he doesn’t really blend in well to his surroundings. This has helped Scott get noticed and he’s met lots of new friends just walking and talking. Inspired by his story and crusade for the CCFA cause, people have donated to Scott’s campaign with the cash in their pockets. In fact, some people were so compelled, that they made sure to visit his personal fundraising page to make an online donation. 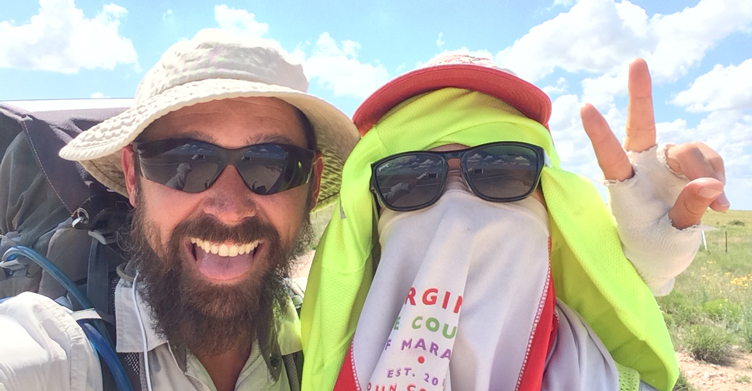 Scott’s biggest challenge isn’t the grueling walk or the summer heat or even getting people to donate; people are extremely compelled by his story. His biggest challenge is convincing people where the money is going to. People want to be reassured that their money is going to be used effectively. All nonprofit organizations have to find a way to build trust with the people who support their cause. It is no different with an individual fundraiser. Even a fundraiser’s personal network will want to understand what their hard-earned dollars are used for. To build legitimacy, Scott distributes flyers he carries with him that explain what CCFA is, what they do, and the impact of fundraising for them. Scott says his flyers have been critical to gain trust of people he meets along the way. Scott’s goal is within reach. He’s raised three-quarters of the total amount so far. By the time he arrives in Santa Monica, he will have successfully raised thousands of dollars for CCFA with the help of many supporters through his passion, perseverance, and dedication. He is sure to motivate many more people to give once he completes his trek. He even plans to write a book on the experience. Powered by Classy, Scott was able to raise money for a great organization like CCFA through a personal and customized page. There are many individuals, like Scott, who are incredibly driven to support the causes they care about. Organizations that champion those causes can empower supporters to act on their passion and amazingly crazy ideas – like walking across America – with peer-to-peer fundraising. Stay tuned for a post-walk exclusive interview with Scott as we greet him at the finish line of his months-long walk to raise money for CCFA.